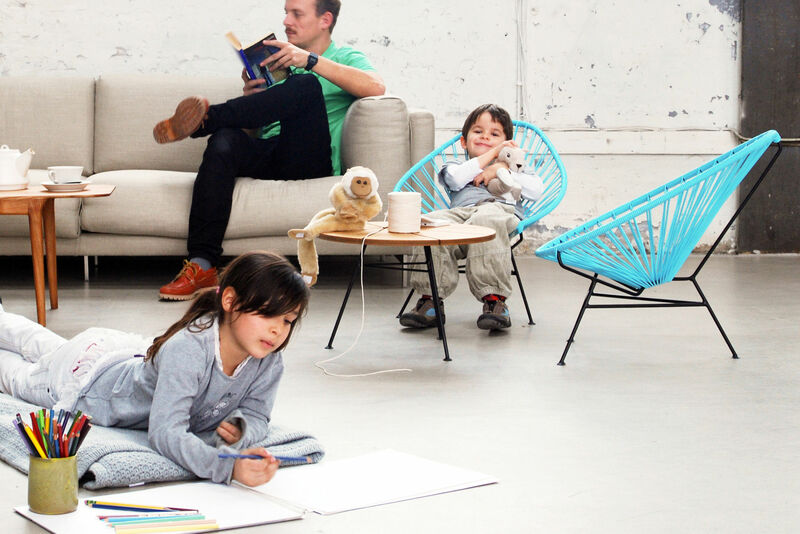 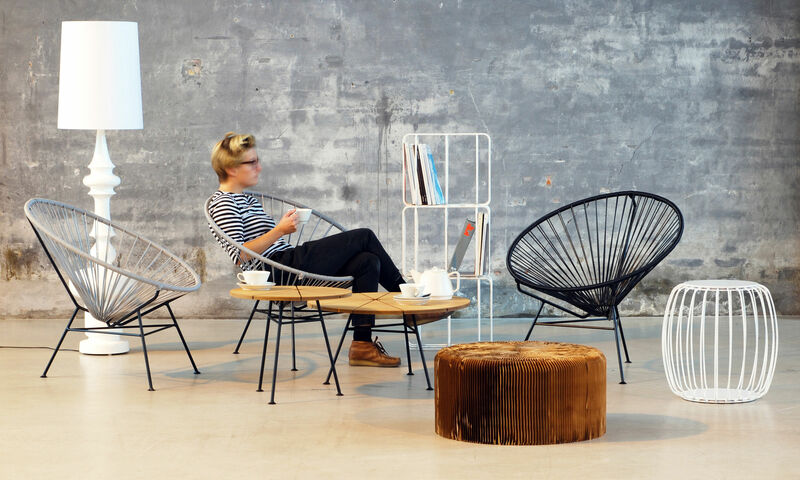 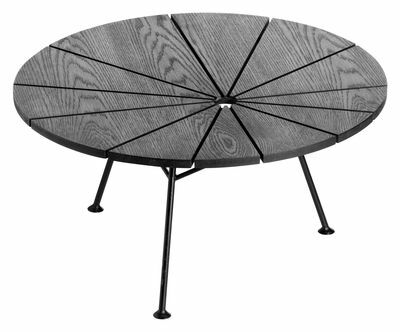 Circular form and graphic lines for this tripod coffee table! 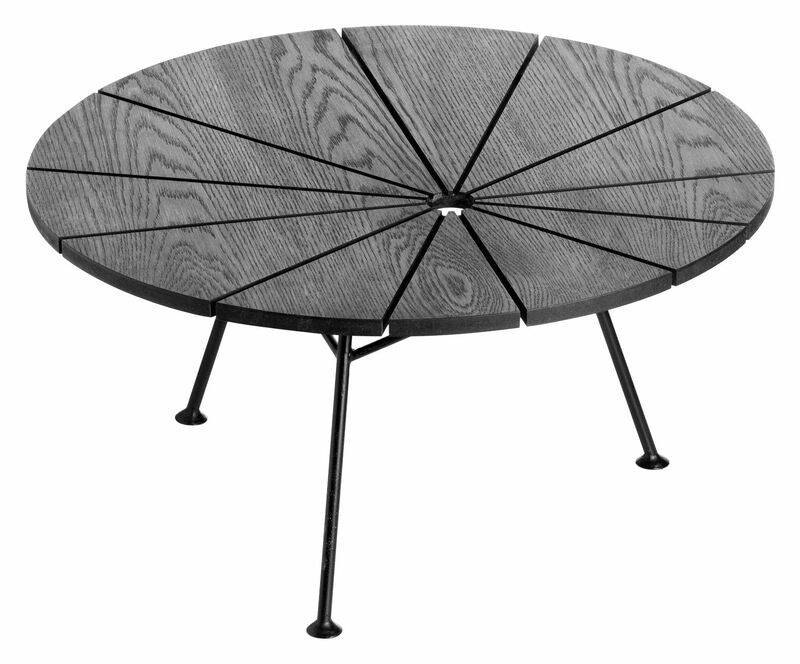 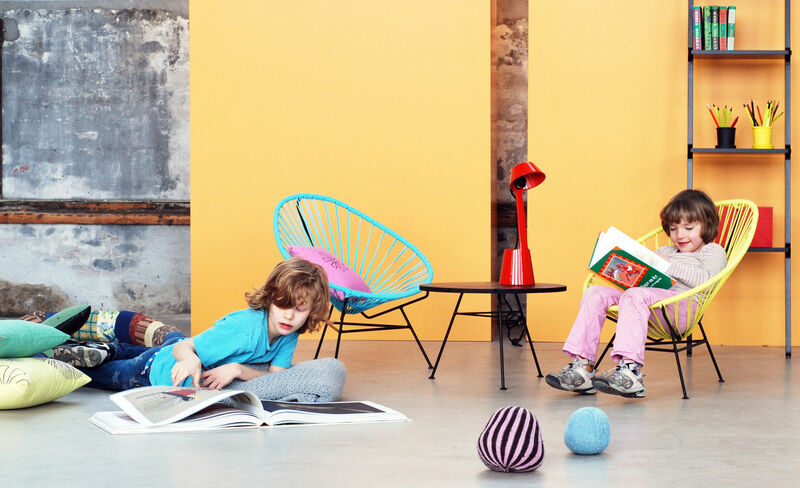 The Bam Bam table is a joint production. 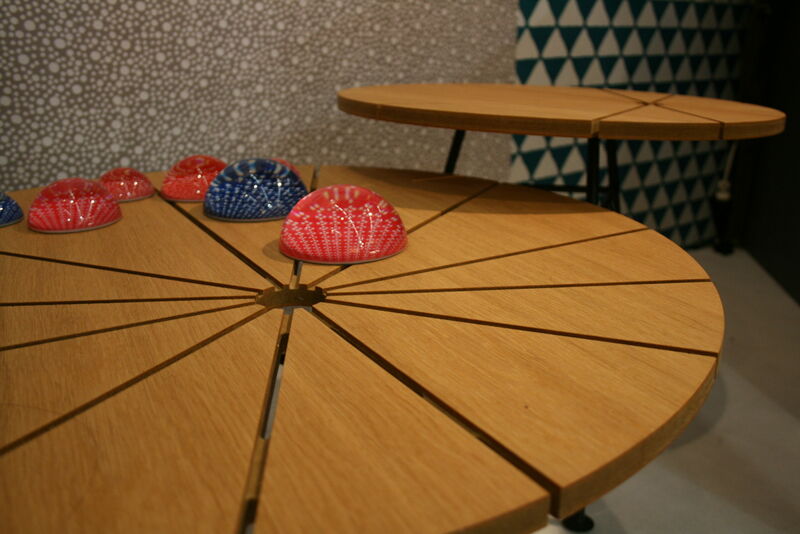 The table top is produced in Denmark. 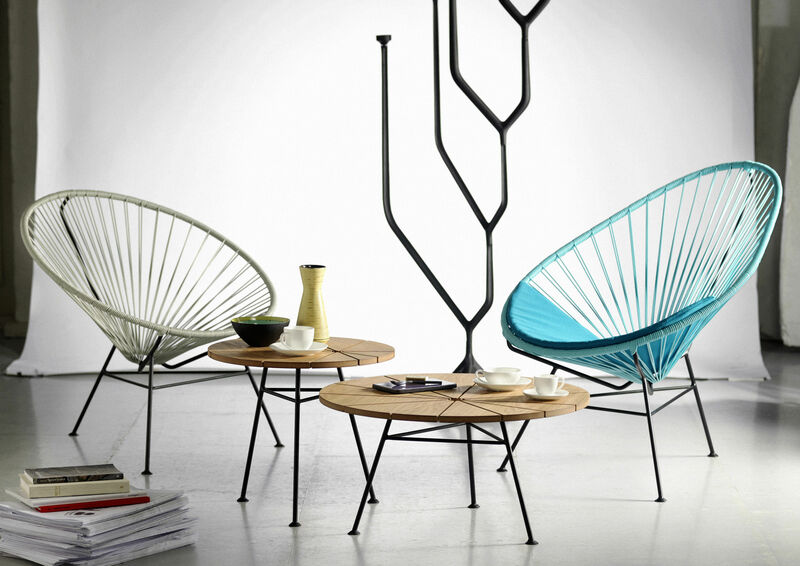 It is made in FSC certified MDF with an oak or an ash veneer. 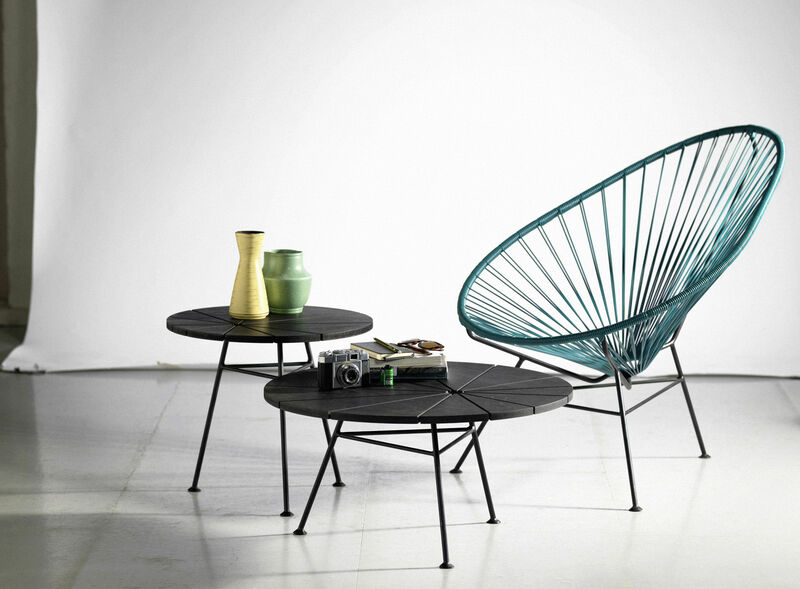 The metal frame is produced in Mexico in solid steel with a black powder coating. 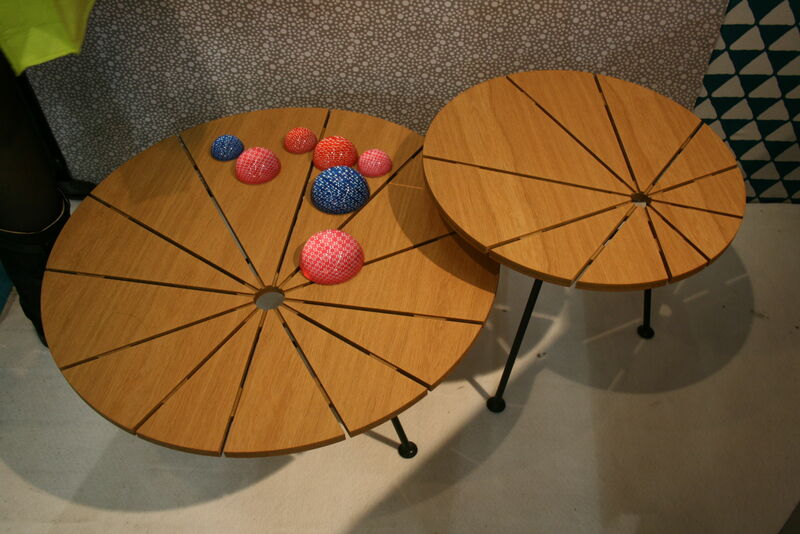 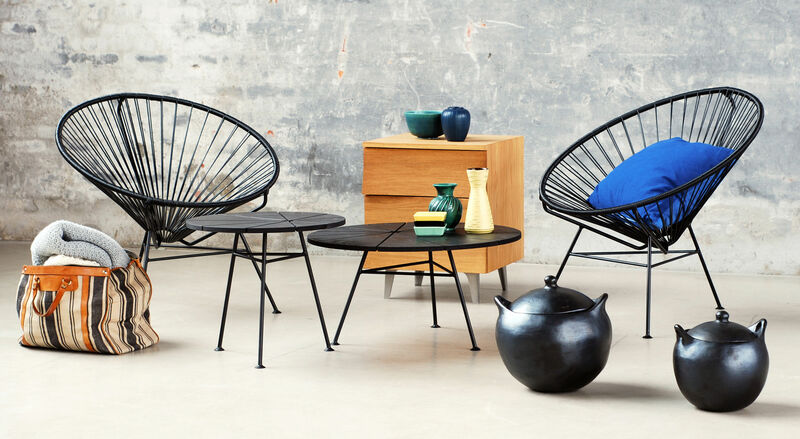 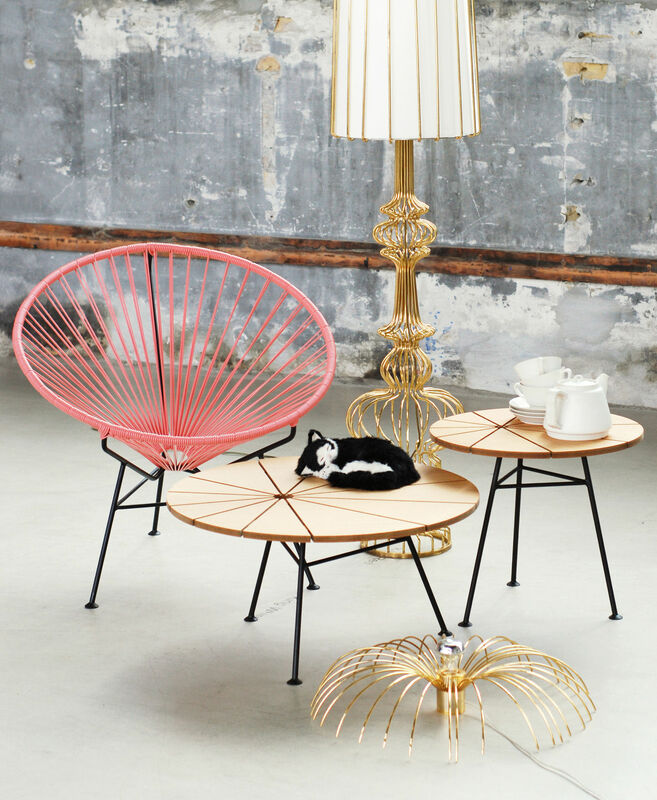 Singular and elegant, the Bam Bam coffee table forms a very beautiful set with the armchairs Acapulco and Condesa!